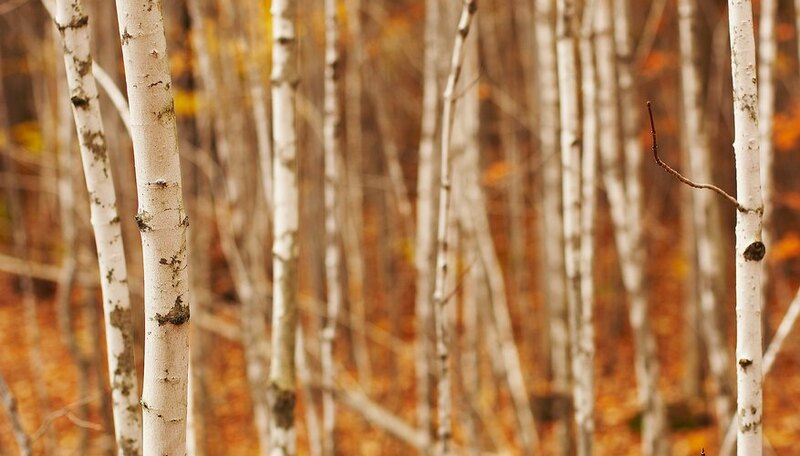 Birch trees produce thin, stick branches that twist and curve. This makes them useful in decorative craft projects. Knowing how to spray paint birch branches for a wedding table centerpiece, gives you the opportunity to add your own artistic touches to the blissful environment of a wedding. When you know how to customize birch branches, you introduce the difference between simple, twisted sticks and glamorous, attractive embellishments. Spread out a sheet of newspaper on an outdoor surface such as a workbench or picnic table. Place the birch branches on the paper and separate them. Shake a can of spray paint in a color that suits your wedding theme. Hold approximately 4 inches from the surface of the separated birch branches. Press the nozzle firmly to release the paint over the surface of the branches. Saturate the branches with paint. Turn the branches over with gloved hands after drying for 10 minutes. Repeat Step 2 to paint all sides of the branches. Let dry for two hours before embellishing as part of a wedding centerpiece. Select pearl-paint colors such as ivory and pink, which are traditional wedding colors. Embellish your painted birch branches with colored baubles, sequins and jewels for texture and touches of glamour. Use two or more different tones of the same color to create a marbled effect on your birch branches. Arrange your painted birch branches in any style fitting to your wedding centerpiece. They can surround a centerpiece of wedding flowers, or be arranged in upright vases. The creative part of making your own centerpieces is entirely up to you. When to Trim Birch Trees? When Do Birch Trees Pollinate?